It’s November! And I’m sat at the studio on a cold and dark windy evening, listening to Philip Glass – Glassworks (how very apt you may think!) I have discovered his music within the last year, and as it turns out it is incredibly good to work to. I will be seeing him perform with his ensemble this week, which will no doubt be very inspiring and provide a bit of a breather at what seems to be an endlessly busy few weeks. I am furiously getting ready for 2 important exhibitions in the next two weeks. 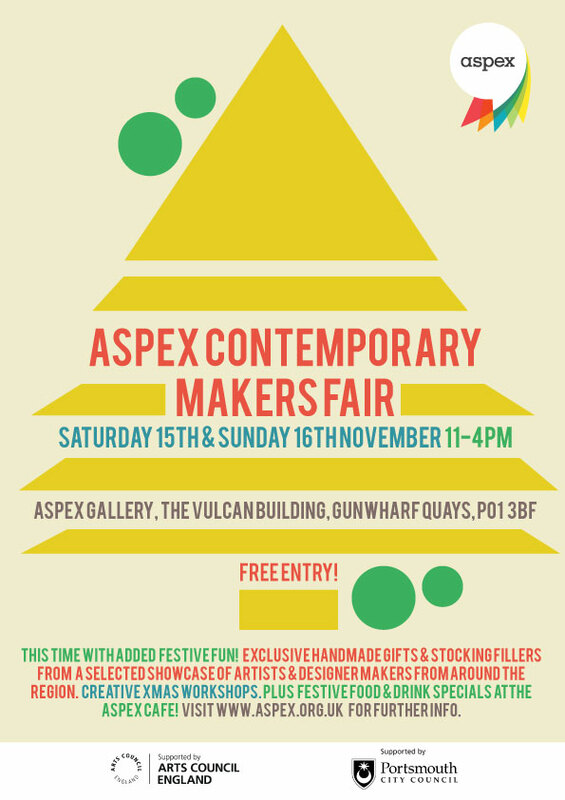 The first is the Contemporary Makers Fair at Aspex Gallery in Portsmouth this weekend 15-16th November. It is such a beautiful gallery, so I jump at any chance to exhibit and sell my work there. I have moved on from last year’s festive slides and started creating chandelier installations and mobiles. Lighting has always been an area I’ve wanted to embrace and there is nothing more tempting to me than a beautifully lit room or a spotlight on a relic at a museum, it seems to engage the senses and create a special focus. Lighting is playing a key role in a community project I’m also working on called Illumination- more of this to follow towards the end of the year. I have been playing with laser cuts and creating mirrored filigree decorations, which have similar properties to glass, in that they are delicate and reflective. So far I’ve had a good response from these and they will be for sale at the shows. The second show is our annual Winter Open Studios event at The Sorting Office in Eastleigh- selling directly from where I work on 22nd November. This is always completely buzzing and a very productive time for me (possibly the tidiest my studio ever looks?!) We are having a VIP night on the Friday which is exciting/daunting as we will meet buyers, gallery owners etc, who knows what will come of these exciting times! So it’s my first ever blog post, I’ve managed to keep finding ways of putting it off! It may look a bit shabby but bear with me, I hope to keep this up! I’m currently writing this on my first ever Eurostar experience (well it’s in scribbly note form in my sketchbook anyway). It’s all very exciting really as I’m off to Lens, France for ‘Salon International Des Metiers d’Art de Lens‘ where I will be exhibiting my work alongside 3 other ***Sorting Office residents and numerous French artists. 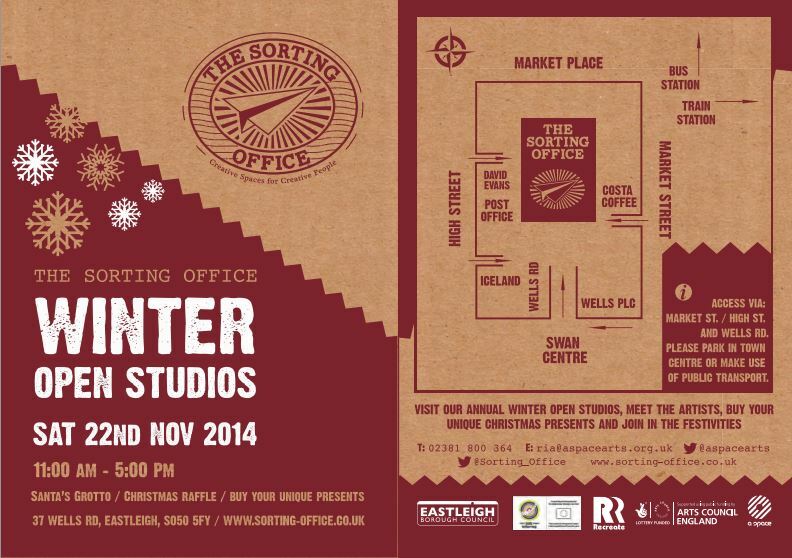 ***The Sorting Office is a shared artist studio for 16 residents located in Eastleigh. It is actually the old Sorting Office that has been completely refurbished and has been up and running for just over a year. It is is funded by the Arts Council and RecreateEU and provides us with our own business manager and great opportunities such as this current trip abroad. I am involved with a few ongoing art projects as well as working on day to day commissions in the studio. I will endeavour to write about these in other blog posts. All in all a mixed experience, I am thoroughly inspired for my next selling event, I always find art markets very beneficial with regards to developing my own work, where to go next, how I want my work to be presented, and I can see and feel ‘improvement’ after each one, so they become much more than just a selling event.